Unfortunately North Star’s painful headache still hounded her. The dizziness she’d been experiencing for the past week intruded as well. Bending over to pack gear made her head spin, forcing her to take several sitting breaks. We were dismayed that her symptoms were not improving. The trail followed the border between Tennessee and North Carolina, taking us past beautiful old trees. All the recent rainfall nourished the wildflowers, known as “spring beauties,” which carpeted the ground. Shutterbug enjoyed the views, but North Star’s mold headache was so powerful that it made walking very difficult for her. The pain meant she couldn’t enjoy any of the beauty around her. We kept walking. Fog blew in, at times condensing into rain. We reached the Spence Field shelter where we cooked up a hearty dinner of couscous and pinto bean flakes. From our tent we heard rumbles of distant thunder. Though North Star was tuckered out she had trouble sleeping because of her headache. The morning was foggy and extremely windy. The gusts were strong enough to knock us off balance. Sometimes we glimpsed distant peaks through the fog. We try to avoid complaining on this blog. We barely mentioned North Star’s headaches and fatigue, even as they grew worse and worse. But now her health has declined to the point where we must give a deeper explanation. North Star has been dealing with an unusual and very serious mold reaction for three years. She does not have a typical allergic response. In moist, moldy areas she experiences severe migraine-like headaches, extreme fatigue, and sometimes dizziness and difficulty concentrating. She has seen numerous western doctors, allergists, and non-traditional healers. We’ve learned through trial and error what works and what doesn’t. She takes several medications year round to combat her mold allergy and its symptoms. We were nervous about the Appalachian Trail being too moist, but our practice hikes over the winter seemed to go fine so we continued with our plans. As the weather on the Appalachian Trail has grown warmer and wetter, North Star’s symptoms have worsened dramatically. She’s had a nonstop headache for over a week. Her head hurts as soon as she opens her eyes in the morning. The ache worsens and throbs with exertion, especially when climbing hills. At times the pain is excruciating. Rest calms it down some but the pain never goes away. Every night she is completely exhausted but her head hurts so badly she has difficulty sleeping. Each day on the trail or resting in town we keep hoping her condition will improve, but instead it has worsened. Her headache is relentless and new problems are cropping up such as a rash on her forehead, swollen lymph nodes, and more frequent dizzy spells. We dealt with difficulties many times during our Pacific Crest Trail thru hike (bad weather, recurring problems sleeping after a bear incident, shin splints, etc. ), but this is much more serious. Today we made the decision to permanently leave the Appalachian Trail and seek a drier climate. We cried. We were deeply saddened to leave the trail and its community and scared that North Star has pushed her body too far and may have additional health problems. We slowly made our way to the next shelter. We arrived later than other backpackers and the area was quite crowded. We camped under nearby pine trees. North Star’s headache continued and the unusual red rash on her forehead worried us. It was a rough day. Wind-driven rain pelted the tent overnight. As we began packing up in the morning, the rain intensified. North Star’s headache was already very strong and we knew it would worsen as we hiked. Hiking through pouring rain, we reached Clingmans Dome. At 6,643 feet this is the highest point on the entire Appalachian Trail. It is also 200 miles from Springer Mountain in Georgia where we began. On this day, all we could see from the top was fog. We descended back into the forest. Heavy rain created puddles on the trail. North Star misstepped on the slippery trail and took a rare fall. She was uninjured but shaken up. The deluge eventually turned the trail into a river, complete with small waterfalls. The flow carried sticks past our legs as we walked. We reached the road at Newfound Gap. A kind trail angel drove us into Gatlinburg where we got a motel room. North Star continued to feel terrible even though we were resting and didn’t have the strain of walking miles over mountainous terrain. Her headache was as bad as ever and she remained unnaturally tired. We needed to get to a drier climate as fast as possible. That afternoon we boarded a flight to Denver. After a day in dry, mold-free Denver we were concerned. North Star had only slightly improved. We went to an urgent care clinic where she was diagnosed with shingles. Like most people, North Star had chicken pox as a child. Afterward the virus remained dormant in her spine. On the AT, her body was overextended and stressed by her unusual mold reaction. Her drastically weakened immune system could no longer suppress the shingles virus and it spread to her forehead, scalp, and the area around her left eye. Even with medications, we are told that full recovery will take between two weeks and several months. The upcoming weeks will be focused on healing and thinking about our new plans. Unfortunately hiking Te Araroa in New Zealand won’t be possible as it is far too wet. We’ll likely make Fort Collins, CO our new home base for at least the next two months. We haven’t yet decided what comes after. Whatever we end up doing, we will definitely continue hiking and blogging about our adventures. We are optimistic about the future despite our recent setbacks. We love the wilderness and we have a lot of exploring ahead. Thank you for sharing your experience. May Jesus bring healing to your body. I know how disappointed you both must be. Some new adventure will present itself but in the meantime Anna has some healing to do. My best to you both. Keep us all up to date. I’m so sorry, but obviously you made the right decision! Hopefully Anna will have full recovery soon & in the meantime, she can bask in dryness, with hotter weather just around the corner!! Very sorry to hear of North Star’s shingles. You guy’s seem to have had more than your share of troubles on this trip. Keep your spirits up and take a break, things are bound to get better soon. Anna and Chris, I’m so sorry to read your trials. I pray for your healing. I hope you keep those of us who have so enjoyed following your hikes updated on how you are and what your next plans are. I’m so sorry that you needed to leae the AT and your dream of completing this trail. How awful that Anna has to go through this extremely painful episode (and afer Chris’ very painful shinsplints). Thinking of you two with love. So sorry to hear…you guys are one of my favorites to follow. Give my best to North Star and I love you forward thinking attitude. My thoughts are with you during this very difficult time. I also call these challenges character building opportunities. You both have shown a lot of character during this extremely challenging few weeks. Thanks for sharing. Stay strong and optimistic! We are sad to hear this news, but hope that North Star is recovering and we look forward to hearing about your future plans. 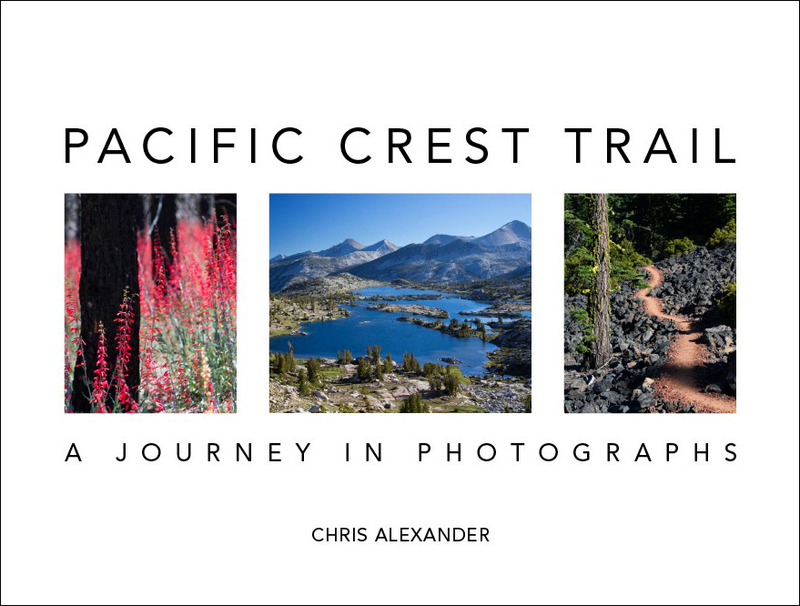 Our journey on the PCT is one we will never forget and the memories rekindled by your photo book are ones we cherish. Your blog has been an inspiration for us in continuing our own exploration of the wilderness and we wish you the best in all your future journeys. Sometimes it hails — but through your blog we see that you take the time to listen for the birds afterwards and more importantly you share it will others so they can hear the beauty of the wilderness. As always, we look forward to hearing from you soon. So, so sorry to hear about your challenges. You guys have been so resilient through it all and so admire your perseverance. Wishing you both silver linings…hang in there! Wish you both the best with the adventures ahead and peace and healing. Sorry to hear about all the problems, but thanks for sharing that info so we can hold you in our prayers. Please keep us and everyone else updated on North Star’s condition. Glad that you stopped when you did…..there will be more trail adventures in the future, but health comes first. From playing ultimate with North Star I know she is one of the toughest most energetic women I know. I can only imagine how hard this is for you two. Hope for good health soon! Best wishes for a swift and complete recovery. While difficult, you’ve made the right decision. Thank you for the posts and start dreaming about future adventures in drier climes once you are healed and recharged. So sorry to hear about this. We’ve been enjoying your travels very much. My wife has a rare brain disease with many of the same symptoms as North Star. We were hiking last year and she had a seizure and fell 100 feet off the Eagle Creek Trail in Oregon. She was remarkably uninjured (because she was unconscious, I guess) but it terrified me. When something like that happens, it really puts things in perspective. No hike or adventure is worth one’s health. I pray that she is recovered in time for your NZ adventure. Blessings. Dang, sorry. Just noticed about the moisture on the NZ trail and that you have already scratched that off your list. Have you considered the North Country Scenic Trail? Not sure of the moisture content on that trail but recently came across some info on it and it looks really interesting.Or, maybe the Continental Divide Trail, as that is likely to be quite dry. Sorry to hear you had to end your Appalachian Trail hike. Hope it goes better in the Rockies — maybe you can do a south-to-north trail there? In any case, the Southwest has plenty of bone-dry country where you can live mold-free, and pain-free. Good luck with your next activities, whatever they may be, and let me know the next time you come to San Francisco. Good luck to both of you. I hope North Star gets better and I hope you two still have amazing adventures that will inspire others, like myself, to get out there and hike and live life. Even though I’m out here on the PCT I still look forward to seeing a post from Wandering the Wild. Again, best of luck to both of you. I wish you both the best, a quick recovery and the best on your future trails together! I am so sorry for the loss of your hike! I know it is a big letdown for you both. I wish you both well, and a very speedy recovery to Northstar! All of my well wishes to you now and in the future. Thanks for sharing your journey! Anna and Chris, I’m so sorry to hear about Anna’s health problems and the difficult decision to leave the trail. I’m sure you’re feeling disappointed but I know that more adventures lie ahead for you two. For now you need to rest up and concentrate on feeling better. 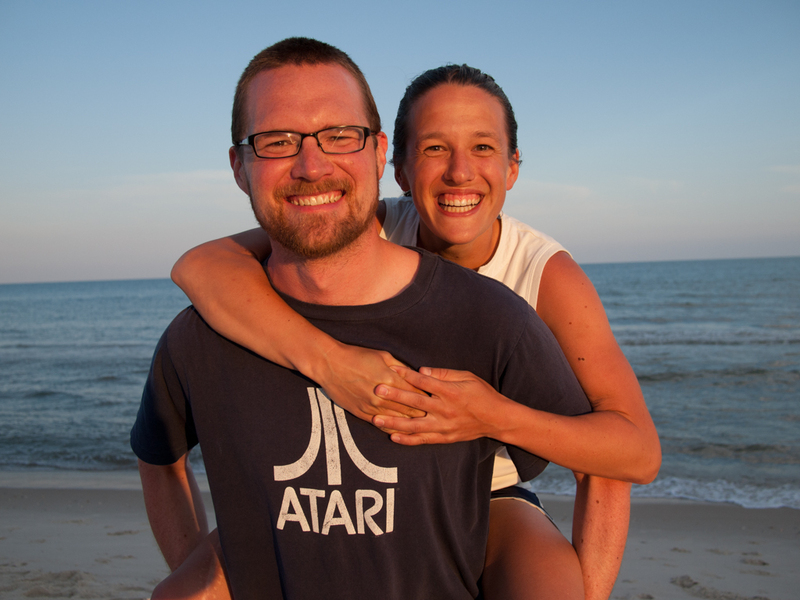 Big hugs to you both – you guys are super inspiring to me, and we’re thinking about you here. Looks like you are going to have to get into desert hiking. Blisterfree has devised some interesting looking routes in Arizona and New Mexico which might suit you. Whatever you choose, I hope you both have better luck in future. I am sorry to hear about your health problems but ones health is more important than a hike in my opinion. Hopefully you can do different hikes in different places around the world. Good luck and I am looking forward to read about them. You guys, you haven’t mentioned the CDT…and a lot of people from recent PCT classes are hiking it this year. It’s a much drier climate, and many of them have just recently started the trail. Why don’t you join them this year once you heal? You’ll be living in Colorado anyway, and the trail goes right through it! So sorry to hear this, but glad you both had the wisdom to get off the trail for now. Shingles are terrible. I can’t imagine walking (let alone hiking) any distance at all in this condition. Best wishes for a speedy recovery. I look forward to your future posts. Thank you so much for the blog. It amazes me that you continue to blog when you are feeling so unwell, but it’s reassuring to read your updates. I can’t imagine how disappointing and difficult this decision was for you. I will look forward to hear about your improved health. Take good care, both of you. It is too bad about having to leave the trail but you made the right decision. Health always needs to come first. I hope Northstar’s shingles case is as mild as mine was as mine was no big deal and lasted only a short time. Be well both of you. We have been following you since last year on your PCT hike and in fact were inspired by your blog to begin our own for our journey on the PCT in 2014. We are so sorry to hear about your health issues and that you’ve have to discontinue your AT hike and cancel your New Zealand hike. We know you’ll be back on the trail soon and we’ll have many more of your adventures to follow. Warm wishes and happy, healthy thoughts are zinging your way for a speedy recovery. Sorry about the mold and the moisture! That AT sure can be wet. I had a friend who was looking forward to hosting you when you got up to Southern Vermont in Norwich. Hope all is well. It isn’t raining at EPA so come on back! Best wishes. So sorry about your disappointing try. 200 hundred miles tells me you gave it your best. I have enjoyed getting to know you guys. Get well soon and am looking forward to hearing from you. You have a lot of on line friends I see and may have a hard time putting a face to everyone. I was chatting with you guys when you were picking up your food drop on top of Snoqualmie Pass WA. oked like they were having such a great time. We’ll miss you. Chris and Anna, so sorry to hear about your problems. We shall miss your blogs on the trail for this time. We send our best wishes for your return to good health. Take care of yourselves! There are always brighter trails ahead. Shorter and drier maybe, but they are out there! I want you both to know how much I have enjoyed your posts. I followed you on the PCT and now on the AT. I want North Star to know how impressed I am with her determination and dedication to stay on the trail as long as she has. I hiked two years ago while recovering from shingles. I made it 32 miles before I had to be picked up. It was horribly painful! Best wishes for an amazingly quick recovery, Anna. I’ve been saddened by your worsening health and hope this is your last big difficulty. You guys are so good in the wild! how sad to hear of your news. we are sending you prayers and positive energy to speed up your recovery. your decision is a wise one. there will be new adventures ahead which we will look forward to sharing with you through your beautiful pictures. get well and happy trails. Very best wishes for a quick recovery, North Star. I know you both will rest and get inspired by a whole new, and hopefully healthful, adventure soon. Take good care of yourselves! Get well, North Star! It must have been incredibly painful to deal with this while on the trail. You were wise to leave the AT and dedicate 100% of your focus to restoring your health. We admire your incredible strength and courage. Sending wonderful thoughts to you and Shutterbug. So sorry to hear about Shutterbug’s illness. I’ve loved reading your PCT and AT blog entries, and appreciate the both of you sharing your experiences. I hope you feel better soon, and are back out on more adventures soon! So sorry to hear about your shortened trip! North Star, I’m a hiker and I also have had shingles on my scalp and forehead. Since you are on meds, you’ll be fine (everything on me healed perfectly), but shingles gave me a very small spot on the edge of my cornea that took about a year to fully heal itself. It’s rare, but it can happen. It healed itself exactly like it does after lasik surgery. I never noticed it during the day, but at night I had a very small diamond ring effect on some bright lights. You might want to go to your optometrist to make sure everything there is looking fine. On a much brighter note, after you feel better, please come hike the Tahoe Rim Trail this summer! It’s very beautiful, lots of blue skies, and as long as you don’t come immediately after the snow melt, it has VERY low humidity! I just want to wish North Star a speedy recovery and wish you both many fantastic journeys in your future. I have appreciated you sharing your travels with us through your blog and photo book. Please get well soon and know that your readers are thinking of you. I am sorry to hear about your illness and am saddened by your sorrow for leaving the trail. Take the time to heal properly and keep your spirits up! Get well soon! I’ve been thinking of you since I wrote this. Hope you are starting to feel better, Anna. I’m confident you all will find an appropriate next adventure. Know that you are in our thoughts. Sending a hug. Thinking about you two today. I just went back and looked at the photos from your AT adventure. I hope you are well. ‘Would love to hear an update. I am saddened by your unexpected departure from AT and your future plans but I know you will find another great adventure and allow us to tag along vicariously through your writing and pictures. You are both an inspiration to many and I hope for a quick recovery! Thank you so much for sharing your experiences. This brought tears to my eyes … I’m so proud of your effort and courage. Best of luck for a smooth recovery and looking forward to hear your plans for a next adventure! North star and shutterbug, may the path to healing take you to some lovely places. Sorry to hear that shingles reared up. Glad it is abating. You two were smart to exit the trail and get to a dry zone. I am hoping this twist will open up new opportunities that you cant even see yet. All the best to both of you. I look forward to hearing of your next adventure, whatever it is. Take care.